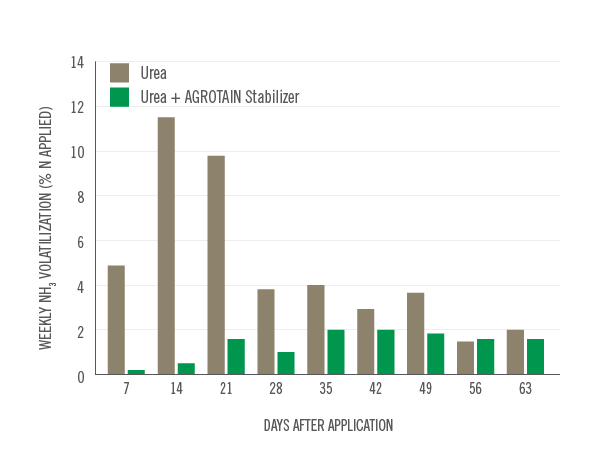 Fortunately, that same study also showed AGROTAIN® nitrogen stabilizer protects against this cold weather loss. 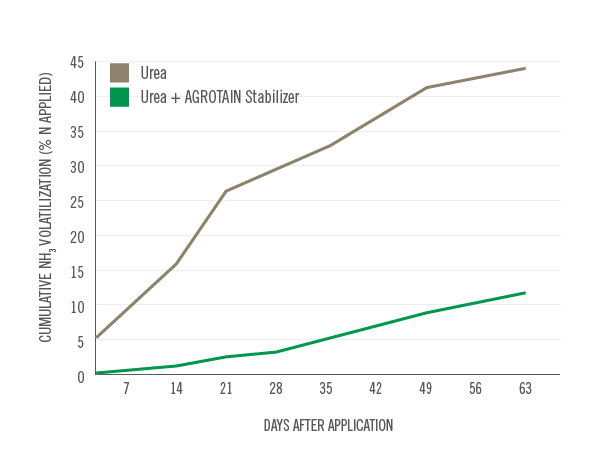 At one location, untreated urea lost about 44% of its nitrogen through ammonia volatilization after nine weeks (63 days) while urea treated with AGROTAIN stabilizer only lost about 12%. Source: Engel et al., 2011. Montana State University. 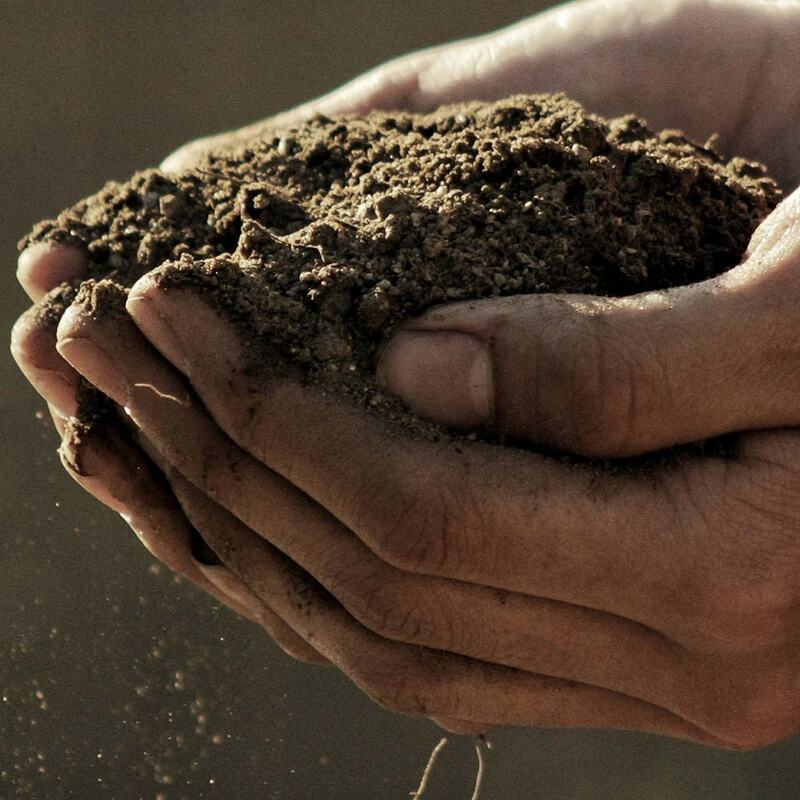 *The underlying data was provided by Montana State University under a Research Trial Financial Support Agreement with Koch Agronomic Services, LLC and neither Montana State University, nor the individual researchers referenced, endorse or recommend any product or service.